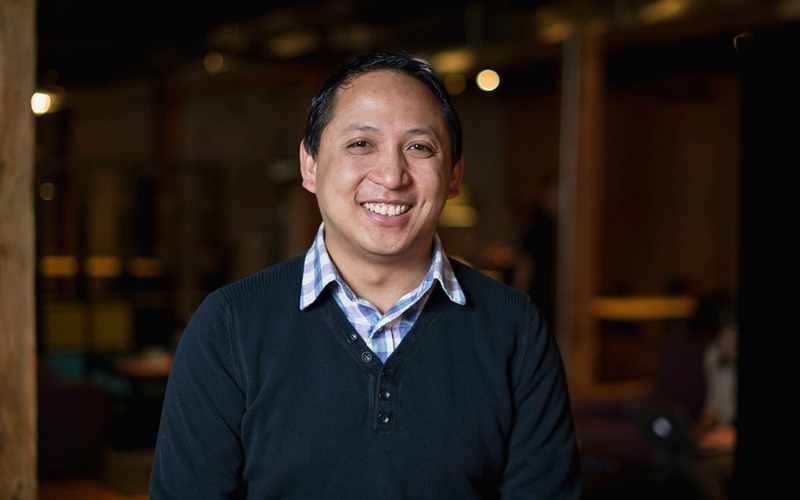 It’s fair to say that Ken Bautista (BEd ‘99) is an expert on the topic of what it takes to be an enterprising educator. From making it into Avenue Magazine’s inaugural Top 40 Under 40 issue and Alberta Venture’s 50 Most Influential People of 2011 list to receiving a University of Alberta Alumni Horizon Award, Bautista has been recognized for years for his contributions to Edmonton’s entrepreneurial spirit. In 2008 he co-founded Rocketfuel Games, an award-winning educational technology company that specializes in game-based learning. A year later, he co-founded Startup Edmonton, an entrepreneurial campus and community hub that kickstarts and activates local startups. Today the affable, 30-something education grad-turned-entrepreneur is a partner in Flightpath Ventures, an early-stage startup accelerator/ fund that invests in high potential, tech-enabled startups. More recently Bautista co-founded the Gather Company, a development and media company. Despite his incredibly full plate, he spoke with illuminate about how pursuing his education degree informed his enterprising spirit, and why the University of Alberta is an important part of the province’s entrepreneurial community. illuminate: What projects are you working on these days? Ken: I’m still really interested in this whole area of technology, entrepreneurship and community building. Flightpath Ventures is a true, early-stage fund for local companies—that first investment to get you going—but built around the idea of a small bet, where people can take a chance, try some stuff, get some validation for what they’re working on and see how far they can take it. My new company is called the Gather Company, and it’s all around real estate development and how you create physical spaces for community and entrepreneurs. I also have a media company called Gather TV, and it’s really about creating a platform for big dreamers and community builders using video to share what they’re working on while they’re doing it. With Gather, I’m excited to get back into the private sector, build a company, build a product, but also keep going with that mission to build community and support entrepreneurs. illuminate: Why did you choose to pursue an education degree? Do you think it helped prepare you to be a successful entrepreneur? Ken: My mom was a teacher, my grandma was a teacher, and there were lots of educators in my family. My dad’s an engineer. So I was thinking about going one of those two routes. I don’t have a business degree, and I don’t have a technology degree either. My focus at school was using educational technology and learning resources. The term “entrepreneur”—people think it’s all about starting a business. But to me thinking entrepreneurially means solving a problem, creating value, building something and having no fear of trying. That can come from anywhere. With an education degree, people think you have to be a classroom teacher, but I think there are way more opportunities out there for someone with an education degree—professional development and lifelong learning are really important, so you need the right people to create those learning environments. I think those people come from education backgrounds. There’s a ton of opportunities with the problems to solve in education, so people with an education degree have an advantage there. illuminate: What qualities does someone need to be an entrepreneur? Ken: First and foremost, it’s the ability to think in terms of a word I always use: platforms. Like in the role of the teacher, the classroom is a platform for students to learn and discover, and the teacher helps create that environment where students can try and fail and learn from that and keep going. When we were doing Startup Edmonton, we were looking at the city as a platform for entrepreneurs to learn how to build. The best entrepreneurs aren’t just focused on the business side, they think about creating value and who they’re creating value for. So whatever product they’re making or whatever service they provide, it’s some sort of platform for their customer to create more value on top of that. illuminate: Why is it important to you to maintain ties with the University of Alberta? Ken: The U of A in general is really important to this community for building an innovation ecosystem. Silicon Valley would not be the way it is without Stanford. All the best startup communities have a really great academic or research institution. The calibre of talent from the U of A has gone on to build great companies and products. So one of my interests as a member of Alumni Council is how do we create better connections for alumni so that when we pull those people together, there’s this amazing network of entrepreneurs and innovators in every industry? We need to keep building on that. Feature image: UAlberta Education alumnus and local entrepreneur Ken Bautista. SUPPLIED.